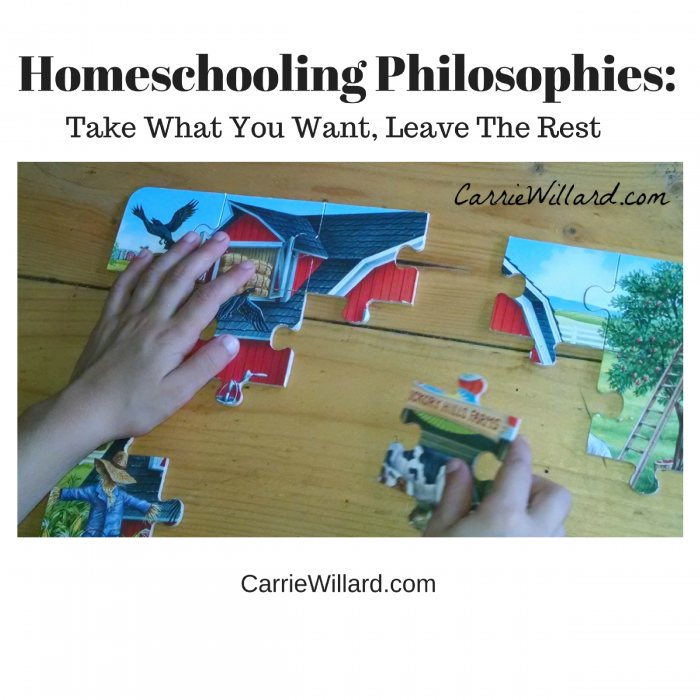 How does one choose among the different homeschool philosophies? I have often encouraged moms to develop a philosophy of education to guide them, but that doesn’t mean following any one philosophy slavishly. Take what you want, leave the rest; this is certainly good advice when talking about different homeschool philosophies. Even though I haven’t led an LLL meeting in years, this phrase comes into my mind frequently. It has served me well when I read parenting books, for example, or read the opinions of other parents on their blogs. Since becoming a homeschool mom, I’ve read about many different approaches to education. 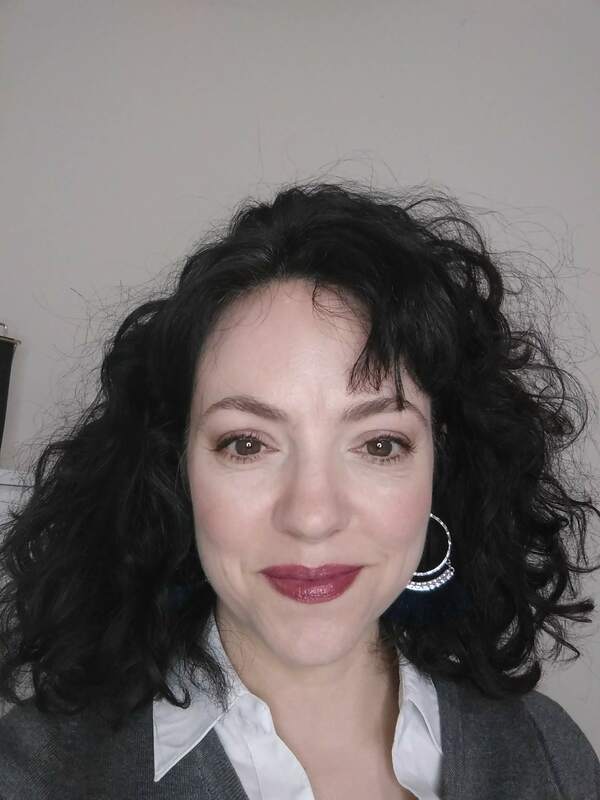 There’s TJED, Charlotte Mason, Unschooling, Classical, Five in a Row, Unit Studies, Montessori… and there are a thousand curriculum options that work with those philosophies. In the past, I would sometimes stress myself out and feel inadequate about what I was doing when I came across a new idea. That’s for the birds, y’all. Now, I’m able to pick and choose what works for me: my family, the individual children, our schedule, my energy level and finances, my time. I can read a good book or blog about homeschooling, and select the ideas that will work for us. I have incorporated many ideas from a variety of sources into our homeschool without stressing that I’m doing it perfectly. It’s a nice place to be. Okiedokie. So I went back to the drawing board and purchased textbooks for him. Ilana hated the history and math portions, so I am using a different book for history and Saxon math with her. Sadie likes the program, but needs Saxon math as well. Ruby and Victoria love the videos and math portion of DiscoveryK12, but the science is over their heads. This is one reason I’ve never purchased “out of the box” homeschool curricula. They do make life easier because the decisions are all made for you (making them ideal for new homeschooling parents), but they lack flexibility. Note: if you’re in need of homeschooling tools, check out Educents. We’ve ordered from them several times and have always been pleased with their prices and quality. How have you chosen among the various homeschool philosophies? There is beauty in being able to pick and choose like this. And I also think this style is vulnerable to a lack of stability.